Careful effort; great care of effort. 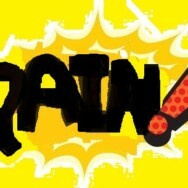 As you can see, there’s a few different ways to interpret pain. I am certain every single person reading this will have their very own experience of pain, the causes of it, how it affects them & what they do to help manage their pain. I recently had an acute (meaning starts suddenly & usually doesn’t last long) pain experience. It was intense. Once through to other side, I spent a lot of time reflecting on what felt like a big ordeal. It compelled me to share my learnings with you and to help put ‘pain’ into a slightly different perspective. My pain was a result of Endometriosis. Endometriosis is a pain experience that is connected to some women’s menstrual cycles; it’s where the lining of the uterus grows outside of the uterine walls usually in the abdominal cavity, so when the women’s period comes it not only sheds the lining from the uterus wall, but also from anywhere else in the abdominal cavity that the endometriosis is growing. This is a largely misunderstood yet common occurrence and can lead to extreme and debilitating pain. For the last 20 years I have been working with preventative health solutions and natural medicine to help manage the endometriosis pain and I’m happy to say that I now live relatively pain free at period time. What I have learned during this time is that there are certain foods, actions & emotions that can trigger the pain. This month reminded me of what some of those triggers are. My birthday this year fell on a full moon, and as the full moon enlarged and peaked, so too did the early arrival of my period (which took me totally by surprise on my camping adventure, as I was seriously unprepared for it!). What many people don’t realise is that it isn’t that surprising that a woman’s menstrual cycle can change around with the moon cycle. Our bodies are 70% water & therefore, like the ocean, we are tidal. So although my period was a surprise, it was also a nice reminder of the moons power but also humbling to feel my body in sync with the full moon rhythm. All of the boxes for a happy and healthy period were being ticked until a surge of intense deep pain took over. The overwhelming pain took total control over me that I could not shake. I tried pain medication and hot water bottles, but still I suffered, doubled over in pain and in complete resistance to the fact that my body was seriously hurting for hours (& I was probably in a bit of shock as well due to the severity of pain and its unexpected arrival). Eventually a good friend encouraged me to go and lay down away from the social camping group into a warm cosy space. We had a small conversation where she encouraged me to “let go” and rest. I didn’t think much of it at the time and tried to get comfortable in the warm nurturing space she had created for me. After a while of lying there by myself, in pain, on my birthday, I felt overwhelmed with a sense of emotion, it was sadness. And I decided to just let myself cry – why not, I was by myself and I felt sad, I was alone and in pain! I didn’t hear the answer as such, but I had a strong knowing that the pain wanted “me”, my attention, it wanted me to be alone with myself, to rest and nurture myself; to go within and to “let go” of what I thought I wanted to be doing (celebrating with friends around a camp fire). I let go even more, I surrendered into the moment with myself and I offered myself deep love, acceptance, nurture and release. It was beautiful and something I don’t usually offer myself, so I felt curious of how good it felt! And then the strangest thing happened, the intense, relentless pain that I had been experiencing for hours simply stopped. It was incredible. I’ve never had that experience before with pain just stopping without taking copious amounts of pain medications. Having had experienced different levels of endometriosis pain all of my menstrual life, (over 20 years) you could imagine my surprise! Now I’m not sure if you could call this a miracle (and people who have experienced strong endometriosis pain or any other severe pain before will know what I mean by that), but I definitely in that moment both saw and experienced a pathway to the end of my suffering unlike ever before. The profound experience birthed an urge to share this experience with you. Eckhart Tolle, spiritual teacher & author, has given some interesting insight into the pain body. “Do not resist your pain. Surrender to the grief, despair, loneliness or whatever the form suffering takes. Witness it without labelling it mentally. This summarises my experience perfectly. It’s strange, but I feel like the pain I experienced was the best present that I could have received. It taught me so much about “letting go”, “surrendering to what is”, “not resisting myself to the present moment or my deepest needs”, as well as reminding me to have “faith & trust” in the wisdom of pain. I hope that this story may inspire you the next time you experience pain, and it doesn’t matter what type of pain you may be feeling –mental, emotional, physical or spiritual, it’s all pain. I also hope that you can at least try to transmute your fear into trust and to simply be willing to surrender into the wisdom that pain can sometimes offer, within reason. Obviously, this experience was unusual and new to me and before I had this realisation I had tried many things to help get my pain under control so, I would like to add in here some of what I studied in pain management at university. Based on research of pain management, it is widely suggested that being in pain for too long can not only cause further physical damage in some cases but also psychological stress, which is not healthy long term. So, what can we learn from these concepts and how can we use them to view pain differently? Perhaps we could be willing to let go of the natural fear that arises around pain and see what happens when we are willing to meet pain head on, talk to it and see what it needs from us. Allowing the intellect to guide us to healthy supportive measures when pain becomes too much for us to bear and being willing to take pain management measures that are needed, whether natural or pharmaceutical, completely guilt free, and see them for the blessings they are. These are simple, attainable & inexpensive ingredients that are often found in the kitchen cupboard, and can help to soothe pain that is due to inflammation. These herbs act as nature’s analgesic, which means pain relief and help to reduce inflammatory markers, thereby reducing the pain level that is felt and they can be as effective as pharmaceutical medications like Panadol or Nurofen/Ibuprofen. Magnesium, as it can also help to mediate the pain response by working as a neuromuscular co-ordinator, allowing the nerves and muscles to have smooth transmission’s helping to release tension and tightness that can contribute to pain. Avoiding or reducing processed and refined sugars and foods can decrease the inflammatory markers in the body and therefore the pain response, as well as reducing or avoiding caffeine and alcohol. Looking into pain, rather than just trying to cover it up or ignore it is important.